Richard Roth has been working in the lab business since 2001, first with AmeriPath where he worked with GIs, OB gyns urologists, and oncologists. After 6 years at AmeriPath, Richard ventured into a water filtration company (yes, you read that right)! But Richard wanted to get back to the lab space, and missed having a direct impact on improving the patient care experience. This time, he wanted to focus on genetic testing. The term “personalized medicine” had just come about, and was gaining increasing popularity due to the positive effects genetics testing and personalized medicine was already having on patients. Since then, Richard has now owned 2 PGx labs, both have since been sold. Now Richard and his wife, Christy, own a consulting company Roths Genetics Resources to help labs implement genetic testing in their current lab or help ambitious individuals build a new lab. What Does Your Consulting Practice Entail? Prior to 2013, reimbursements used “Stacked Code”. With stacked codes, different Current Procedural Terminology (CPT) codes were designated to different parts of the testing process. In this scenario, the extraction of DNA was one code. The amplification was another code. And on and on. By the time a sample was processed, multiple codes were billed totaling an exorbitant rate. Collectively, there needed to be a decision for how to proceed – another way to handle this issue. Medicare vowed to modify the billing and reimbursements by the start of 2013, instead new CPT codes weren’t determined until October 2013. From January to October, labs were not reimbursed by Medicare for PGx testing, causing some to go out of business. In Short, What’s the Issue With Reimbursements? What Do You Think Will Happen to Reimbursements? What the officials say is going to happen: in 2017, instead of a local coverage determination (LCD) where each MAC jurisdiction decides reimbursements, officials will unveil a national coverage determination (NCD). All will reimburse the same amount. From what Richard has heard, he believes this reimbursement will be around $300- $400 per test. 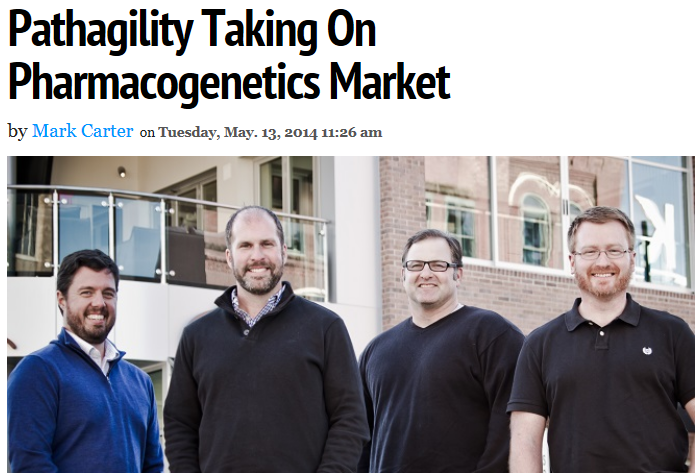 How Should PGx/Genomics Labs Prepare For the Future? Labs that want to innovate and prepare for the future should look closely at the technology they are using. For instance, Richard explains that if your lab did sequencing 5 years ago, it would cost upwards of $1,000 per patient. Now, cost per test is way down because of technology advancements. If you run tests on an entire genome, the information that comes from the tests is days and days long. He explains that you have to have some sort of bioinformatic translational software that translates the data for desired testing result. The PGx and genomics space is changing so fast and many more genes are constantly being identified . If you aren’t constantly researching and educating yourself, you are already behind. 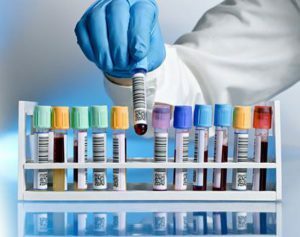 It’s equally important to keep up on lab technology to help your lab improve efficiencies, quality, and positively affect the patient care experience, which is the entire reason for PGx and genomics testing in the first place. The patient should always, always be first. A high volume clinical laboratory based in Louisiana specializes in advanced PGx and Toxicology testing. The lab receives test samples from around the United States to process in their CLIA certified lab. With testing so sophisticated and unique, the lab needed a better way to provide clean and easy to interpret reports to referring physicians or groups that could be customized by case types, as well as branded to specific groups. The former LIMS system the lab used, which was an in-house system, was not able to expand with their growing testing capabilities and couldn’t meet the lab’s needs. The lab’s previous LIMS system also required a sizable IT team to support the system. The team selected Pathagility as their new LIMS provider in the summer of 2015. Pathagility, which is a customizable laboratory reporting solution built to adapt across any type of test, device or laboratory, has the flexibility to serve the lab as the LIMS or Interpretive Reporting Software – or both. In partnership with Pathagility, the lab had the new platform in place and fully implemented in just over 2 months. The lab’s former in-house system was only able to analyze 50 tests across toxicology and PGx. With Pathagility, the lab is now able to analyze over 95 different tests – with the ability to analyze even more as the lab continues to expand testing. Additionally, the lab’s administrators are able to track which staff member logged in to the Pathagility platform and are now able to track the actions of uniquely identified staff members with date and time stamps. Administrators can also monitor which actions were taken to create additional accountability and control across the lab for compliance purposes. Download the entire case study to learn more about this high volume PGx lab and its results. Over the last 10 years, it has come to public knowledge that genes do not necessarily have to express themselves. Integrative doctors have brought to our patients’ attention that genes are turned on or off by our environment. Our environment includes the food we eat, the nutritional supplements we take, the thoughts we have, the exercise we do… Wow, the power of science! Pharmacogenetics is the study of how genes affect a person’s response to drugs. This relatively new field allows us to combine pharmacology and genomics to determine effective and safe medication dosages which are specific to an individual’s DNA makeup. This means minimizing side effects from the drugs! According to a recent article, at present there are over 770,000 injuries or deaths due to drug reactions per year in the United States. Pharmacogentics gives us the promise of significantly lowering this number. In recent years, new technologies have emerged that can analyze DNA and see which biochemical pathways may be impaired, allowing labs to cross-reference this with all the drugs that require that pathway to break them down. The laboratories then uses a LIMS system or reporting solution, like Pathagility, to provide beautiful and, more importantly, comprehensible charts and reports that detail which drugs a patient is able to break down in the normal fashion. These reports also provide insights into which drugs the individual will not be able to break down in the normal fashion. Although pharmacogenomics has the potential to radically change the way healthcare is provided, it’s really only in its infancy. In the future, pharmacogenomics could find uses along the entire drug discovery and development timeline, beginning with target discovery late-stage clinical trials, according to a recent article. Beyond that, pharmacogenomic tests could eventually be used as an integral part of a routine visit to the doctor’s office as a means to get the right medicine to the right patient at the right time. Technology is evolving to transform rapid genetic testing – especially in the advanced PGx labs. While portable devices are being engineered for robust diagnosis of disease that will improve patient experience and management, labs also see a great need for a superior, customizable laboratory reporting solution that can adapt across any type of test, device or laboratory. Often times, LIMS and reporting systems – especially those built in house – can be limiting to the types of tests they can analyze. PGx lab executives need a central laboratory reporting solution that will adapt across any type of test, device or laboratory to provide their lab, referring physicians and patients with the enhanced reporting that modern labs now require.